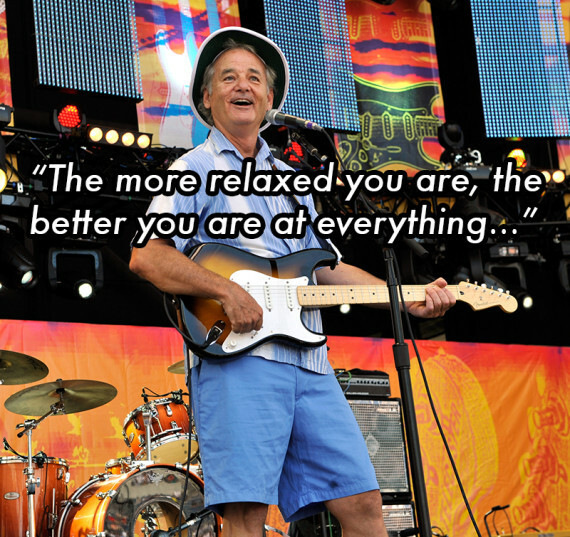 Bill Murray occupies a rare echelon of famous living personalities that are so great, it's easy to forget there's an actual human behind the character we think we know. There is, however, and Murray, both in his professional and personal life, has become a contemporary prophet for a forever young America. "If you have someone that you think is the one... don't just sort of think in your ordinary mind and think, OK let's make a date, let's plan this and make a party, we'll get married. Take that person and travel around the world. Buy a plane ticket for the two of you to travel all around the world and go to places that are hard to go to and hard to get out of. And if when you come back to JFK, when you land in JFK, and you're still in love with that person, get married at the airport." Sure, Murray's authority in the area of love may be a little suspect given allegations of adultery and neglect, among others, that came up in his latest divorce in 2008. But we're willing to bet there are a vast number of people who would take their dates to the edge of the cosmos if Murray suggested it. This is a man whose words are truly heard and to whom attention must -- or at the very least, will -- be paid. 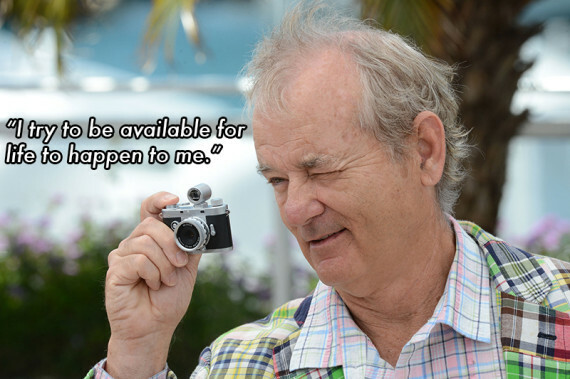 Whether you're already a believer or yet to be converted, here are some lessons you can learn from the prophet Bill Murray. 1. Be an individual who also takes care of others. "I think we ought to be personally responsible...I think if you can take care of yourself, and then maybe try to take care of someone else, that's sort of how you're supposed to live," he said. "We forget the kind of discipline [early Americans] had to have... They came in wagons and the wheels broke... There was no option but to do it yourself, to have your own responsibility. There is no turning back. There is no turning back." 2. Be open to all possibilities. "I live a little bit on the seat of my pants, I try to be alert and available," he said. "I try to be available for life to happen to me. We're in this life, and if you're not available, the sort of ordinary time goes past and you didn’t live it. But if you're available, life gets huge. You're really living it." 3. Try not to focus on the bad -- stay optimistic. "You have to hope that [good things] happen to you... That's the only thing we really, surely have, is hope. You hope that you can be alive, that things will happen to you that you’ll actually witness, that you’ll participate in," he said. "Rather than life just rolling over you, and you wake up and it's Thursday, and what happened to Monday? Whatever the best part of my life has been, has been as a result of that remembering." 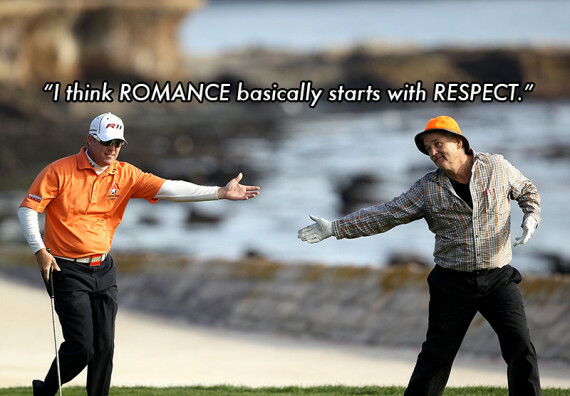 "I think romance basically starts with respect. And new romance always starts with respect," he said. "Like the song 'Love the One You’re With'; there is something to that. It's not just make love to whomever you're with, it’s just love whomever you're with. And love can be seeing that here we are and there's this world here." 5. Don't just coast through life. "As I once said to one of my brothers, 'This is your life, not a rehearsal,'" he said. "Somewhere there’s a score being kept, so you have an obligation to live life as well as you can, be as engaged as you can..."
6. Be someone at all times. "The human condition means that we can zone out and forget what the hell we're doing," he said. 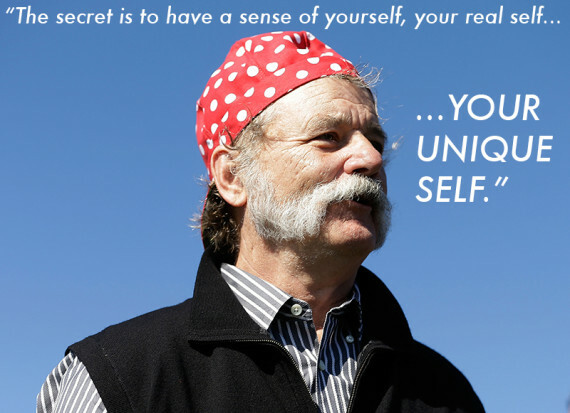 "So the secret is to have a sense of yourself, your real self, your unique self. And not just once in a while, or once a day, but all through the day, the week and life. You know what they say: 'Ain't no try, ain't nothing to it but to do it.'" 7. Accept the past, then move on. "I made a lot of mistakes and realized I had to let them go," he said. "Don't think about your errors or failures, otherwise you'll never do a thing." "The more relaxed you are, the better you are at everything: the better you are with your loved ones, the better you are with your enemies, the better you are at your job, the better you are with yourself," he said.